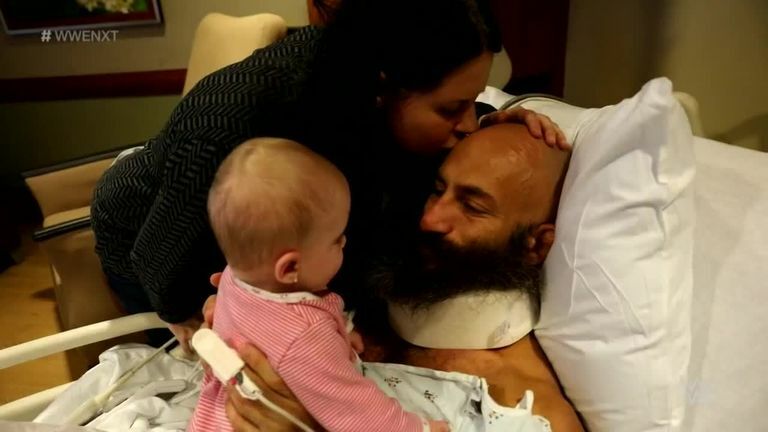 Tommaso Ciampa has been forced to vacate the NXT championship after undergoing major neck surgery. The 33-year-old was due to defend the title against Johnny Gargano at the NXT TakeOver in Brooklyn on the Friday of WrestleMania weekend. But he has been forced to relinquish it after an anterior cervical fusion, a procedure for which there is an estimated rehabilitation time of nine months. A small piece of me died tonight. The greatest 237 days of my life. Ciampa, who previously suffered a ruptured anterior cruciate ligament in May 2017 which required surgery and kept him out of action until January 2018, featured on Raw and SmackDown in February as one of four NXT competitors called up to the main roster. Gargano will still compete for the belt at the Barclays Center next month, with his opponent decided by a fatal five-way on this week's episode of NXT. Adam Cole saw off the challenge of Ricochet, Velveteen Dream, Matt Riddle and Aleister Black to emerge victorious and will face Gargano in a two-out-of-three falls match for the gold.